The history of creationism is tied to the history of religions. In the 18th and 19th centuries, Christians found their accounts of creation to be in conflict with empirical observations of natural history from scientific inquiry. While the term creationism was not in common use before the late 19th century, creationists consider their primary source to be the ancient Hebrew text describing creation according to Genesis and see themselves as being the philosophical and religious offspring of the traditions that held that text sacred. The biblical account of history, cosmology and natural history was believed by Jews, Christians and Muslims and its accuracy was unquestioned through the Medieval period. Most people in Europe, the middle east and other areas of the Islamic world believed that a supreme being had existed and would exist eternally, and that everything else in existence had been created by this supreme being, known variously as God, Yahweh, or Allah. This belief was based on the authority of Genesis, the Qu'ran, and other ancient histories, which were held to be historically accurate and no systematic or scientific inquiry was made into the validity of the text. Creationism or creation theology encompasses the belief that human beings, the world and the universe were created by a supreme being or deity. The event itself may be seen as either ex nihilo or order from preexisting chaos). Many who hold such beliefs consider them to be compatible with science. They may say, for example, that a certain scriptural account of creation is a metaphor. Or they may say that scientific mechanisms were created by supernatural intervention. Evolutionary creationism, or Theistic evolution, is the general belief that some or all classical religious teachings about God and creation are compatible with some or all of the scientific theory of evolution. Theistic evolution holds that the acceptance of evolutionary biology is not fundamentally different from the acceptance of other sciences, such as astronomy or meteorology. In this view, it is held both religiously and scientifically correct to reinterpret ancient religious texts in line with modern-day scientific findings about evolution. This synthesis of religious teachings with science can still be described as creationism in holding that divine intervention brought about the origin of life or that divine Laws govern formation of species, but in the creation-evolution controversy its proponents generally take the "evolutionist" side. For this reason, some on both sides prefer to use the term "theistic evolution" to describe this belief. The term evolutionary creationism is used in particular for beliefs in which God transcends normal time and space, with nature having no existence independent of His will. It allows interpretations consistent with both a literal Genesis and objective science, in which, for example, the events of creation occurred outside time as we know it. It should be noted that many Christian churches have now rejected "Creationism" outright. Liberal theology considers Genesis a poetic work, that human knowledge of God expands over time and that the early biblical stories show only the most primitive understanding of what was to become known as the Christian deity. Indeed, comparing the God of the early Jewish tribes to the God revealed in the figure of Christ clearly depicts how much theological understanding developed in between the writing of the various books that came to be collected in the Bible. Many creationists adopt a literal interpretation of religious or supernatural creation accounts, and say that a particular one is a factual account that supersedes mainstream science (see Young Earth Creationism, for example). Such interpretations are rejected by scientists, who say that evidence from many scientific disciplines are the only empirical source for information on natural history, and literal interpretations of scriptures are not considered reliable forms of scientific evidence. Those holding these more literal views tend to be the ones who dispute scientific theories the most, and take particular issue with the implication from evolutionary biology of common descent -- that humans are descended from "lesser creatures". There are creationists who also dispute scientific accounts of the origin of life, and of the geological history of Earth, the formation of the solar system, the origin of the physical universe, and a few even support such ideas as geocentrism and a flat Earth. The term creationism is most often used to describe the belief that creation occurred literally as described in the book of Genesis (for Jews and Christians) or literally as described in the Qur'an (for Muslims.) Although the Hebrew Bible does not provide an account of creatio ex nihilo and, according to scholars, may even suggest different accounts of creation, some Jews and Christians claim to use Genesis exclusively as a support of their beliefs about origins. Refer to creation according to Genesis. In the secular sense, "creationism" refers to a political doctrine which asserts the validity and superiority of a particular religiously-based origin belief over those of other belief systems, including those in particular espoused through secular or scientific rationale - i.e. "creationism versus evolution." The meaning of the term "creationism" depends upon the context wherein it is used, as it refers to a particular origin belief within a particular political culture. Theists believe that the universe and life was created by God. The idea could equally be applied by Deists, who believe that there was a God who originally created the universe, and that God then either ceased to actively interfere with its operation, or simply ceased to exist. Similarly, proponents of an alternative type of creationism might rely on a belief that the universe was created by many deities, in accordance with a polytheistic faith, or by Vishnu, the Titans of Greek mythology or any of the host of other such beings. To distinguish the notion that the Universe as a whole (and hence all its contents) was created by God from the notion that individual species were created by divine intervention in the natural order, the latter view is sometimes referred to as special creation. The terms creationism and creationist have become particularly associated with beliefs conflicting with the theory of evolution by natural selection. This conflict is most prevalent in the United States, where there has been sustained creation-evolution controversy in the public arena. On the other hand, many faiths which believe in divine creation accept evolution by natural selection as well as, to a greater or lesser extent, scientific explanations of the origins and development of the universe, the Earth, and life Ð such beliefs have been given the name evolutionary creationism, though others call them "theistic evolution". Creationism covers a spectrum of beliefs which have been categorised into the broad types listed below. Not all creationists are in dispute with scientific theories, though very few modern scientists are creationists. Flat Earth creationism - God created the world with a flat surface 6,000 years ago. All that modern science says about shape, size, and age of the Earth is wrong, and evolution does not occur. Very few people today maintain such a belief. Modern geocentrism - God recently created a spherical world, and placed it in the center of the universe. The Sun, planets and everything else in the universe revolve around it. All scientific claims about the age of the Earth are lies; evolution does not occur. Very few people today maintain such a belief. See, for example, the Creation Science Association for Mid-America, in Cleveland, MO, USA. Young-Earth Creationism - The belief that the Earth was created by God a few thousand years ago, literally as described in Creation according to Genesis, within the approximate timeframe of the Ussher-Lightfoot Calendar or somewhat more according to the interpretation of biblical genealogies. (They may or may not believe that the Universe is the same age.) As such, it rejects not only radiometric and isochron dating of the age of the Earth, arguing that they are based on debatable assumptions, but also approaches such as ice core dating and dendrochronology, which make the barest of assumptions of uniformitarianism, and which hint that the Earth is far older than the Ussher-Lightfoot Calendar suggests. Instead, it interprets the geologic record largely as a result of a global flood. This view is held by many Protestant Christians in the USA, and by many Haredi Jews. For Christian groups promoting this view, see the Institute for Creation Research (ICR), El Cajon, California, USA, and the Creation Research Society (CRS), Saint Joseph, Missouri, USA. God created the Earth only recently, but made it appear much older. This is the belief of a small subgroup of Young Earth creationists, which is sometimes termed the Omphalos hypothesis. This argument was first made by Philip Henry Gosse in 1857. He held that because the world operates in cycles (chicken to egg to chicken on so on), certain physical and biological processes need the appearance of age to function. It is termed the Omphalos hypothesis because it is based on the question of whether or not Adam (or Eve for that matter) had a navel (given that they were created as adults rather than born, they can be assumed to have never possessed an umbilical cord). Gosse postulated that Adam did have a navel because it is how humans are formed. So the appearance of history (the belly button) is there, even though he was just created. He likewise postulated that for the earth to work, it must have been established with the appearance of age to function correctly. While many creationists hold this view for some smaller aspects of creation, for example the existence of the fossil record, the argument has been largely superceded. God created the Earth only recently, and the fossil record is the record of the destruction of the global flood recorded in Genesis. The present diversity of land animals are all descendants of the animals on the ark, having heavily diversified after the flood. There are a variety of mechanisms believed to be involved, including genomic modularity -- the ability for animals to reorganize their genome in response to stress or other outside influence, heterozygous fractionation (heterozygous genes in parents can lead to speciation by having multiple homozygous genes in children), and standard evolution. Old-Earth Creationism - which maintains that the physical universe was created by God, but that the creation event of Genesis is not to be taken strictly literally. 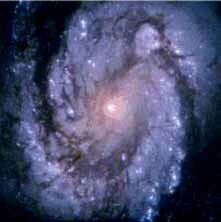 This group generally believes that the Universe and the Earth are as described by astronomers and geologists, but that details of the evolutionary theory are questionable. Gap creationism, also called Restitution creationism - the view that life was immediately created on a pre-existing old Earth. This group generally translates Genesis 1:2 as "The earth became without form and void," indicating a destruction of the original creation by some unspecified cataclysm. This was popularized in the Scofield Reference Bible, but has little support from Hebrew scholars. Day-age creationism - the view that the "six days" of Genesis are not ordinary twenty-four-hour days, but rather much longer periods (for instance, each "day" could be the equivalent of millions of years of modern time). Another theory states that the Hebrew word was mistranslated, and it's supposed to be seven ages. Some adherents claim we are still living in the seventh age ("seventh day"). Progressive creationism - the view that species have changed or evolved in a process continuously guided by God, with various ideas as to how the process operates. This accepts most of modern physical science including the age of the Earth, but rejects much of modern biology or looks to it for evidence that evolution by natural selection is incorrect. Evolutionary creationism/Theistic evolutionism - the general belief that some or all classical religious teachings about God and creation are compatible with some or all of the scientific theory of evolution, It views evolution as a tool used by God and can synthesize with gap or day-age creationism, although most adherents deny that Genesis was meant to be interpreted as history at all. It can still be described as "creationism" in holding that divine intervention brought about the origin of life or that divine Laws govern formation of species, but in the creation-evolution controversy its proponents generally take the "evolutionist" side while disputing that some scientists' methodological assumption of materialism can be taken as ontological as well. Many creationists would deny that this is creationism at all, and should rather be called "theistic evolution", just as many scientists allow voice to their spiritual side. In particular, this view rejects the doctrine of special creation. Intelligent Design movement - The main proponents of intelligent design have intentionally distanced themselves from other forms of creationism, preferring to be known as wholly separate from creationism as a philosophy. One of the chief websites of the movement defines it thus: "The theory of intelligent design holds that certain features of the universe and of living things are best explained by an intelligent cause, not an undirected process such as [Darwinian] natural selection." Intelligent design styles itself as a philosophical approach to the origin of information and complexity within nature, and, its adherents claim publicly, is not concerned with religion, or the identity or nature, whether natural or supernatural, of any possible designer(s). Ostensibly, intelligent design does not oppose the theory of evolution. However, the leading proponents of intelligent design are Christian theists who vociferously oppose evolution and acknowledge to their constituency "our strategy has been to change the subject a bit so that we can get the issue of intelligent design, which really means the reality of God, before the academic world and into the schools" and that "this (the ID movement) isn't really, and never has been a debate about science. Its about religion and philosophy." Critics cite such statements as proof that intelligent design is creationism in new clothing - Wedge strategy. Jewish creationism includes a continuum of views about creationism, on aspects including the origin of life and the role of evolution in the formation of species as debated in the creation-evolution controversy. In general, the major Jewish denominations accept evolutionary creationism or theistic evolution, with the exception of certain Orthodox Jewish groups. The contemporary general approach of Judaism, excepting some Orthodox traditions, is to not take the Torah as a literal text, but rather as a symbolic or open-ended work. All denominations of Christianity assert that God is the origin, the first cause. 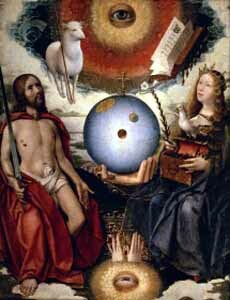 The Roman Catholic Church holds as an unchangeable tenet of Christian faith, that "In the beginning God created the heavens and the earth". Here, clearly, creation is described as an absolute beginning, which includes the assertion that the very existence of the universe is contingent upon a necessary higher being, a God who is not himself created. Therefore the doctrine of biblical creation places the knowledge of God central in the pursuit of the knowledge of anything, for everything comes from God. Nevertheless, this view does not mandate the concept of special creation; it says nothing about the mechanism by which any thing was created. Although phrased differently, this doctrine of creation is common in many branches of other religions. The strictness to which adherents are required to accept these views, and the sense in which these definitions are official, vary widely. In the United States, creationism is popular among the general Christian population, but considered to be scientifically irrelevant in many academic and scientific communities. According to a 2001 Gallup evolution poll on the origins of humans, 72% of Americans believe in some form of creationism (as defined above). About 45% of Americans assented to the statement that "God created man pretty much in his present form at one time within the last 10,000 years." Among the scientific community, the Big Bang, abiogenesis, and biological evolution are generally considered to be the correct description of the origins of the universe and life on Earth. According to a 1997 Gallup poll, 55% of scientists ascribe to a completely atheistic evolution, with a total rejection of any deistic involvement. In 1987, Newsweek reported: "By one count there are some 700 scientists with respectable academic credentials (out of a total of 480,000 U.S. earth and life scientists) who ascribed to Biblically literal creationism". However, science is not established by public opinion polls but rather by consistency and explanatory ability. Creationists believe that a divine power created life, sometimes believing that every "kind" of living thing was separately "created", while naturalists believe life came into being or developed into different species through natural means. This spectrum of opposing views has led to the debate commonly known as the creation evolution debate. - Naturalism - Nothing exists but the world - there are no supernatural entities.